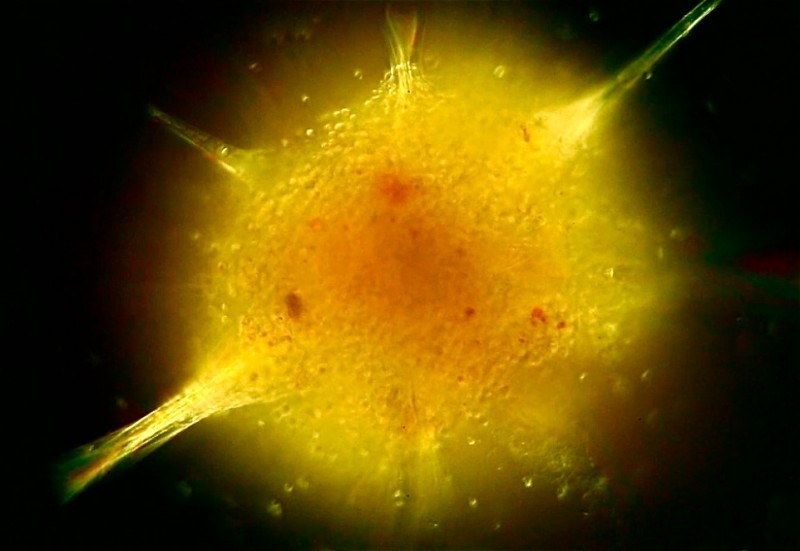 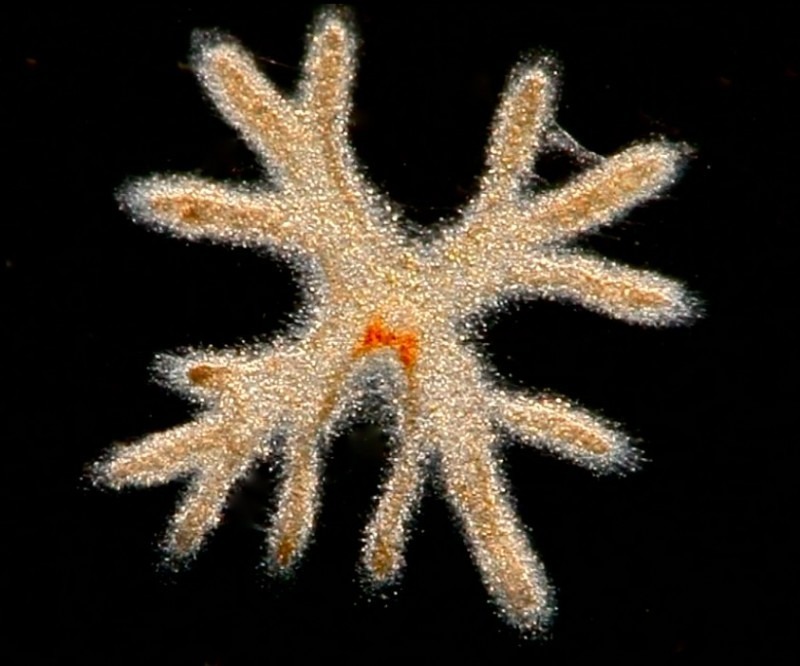 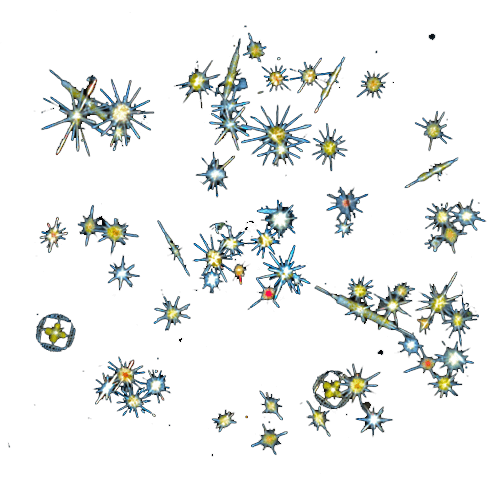 Single cells with a nucleus, Acantharians, Radiolarians, and Foraminiferans differ by their shells and skeletons made of strontium, silicium, or calcium. 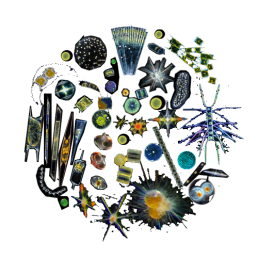 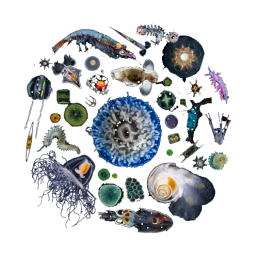 Radiolarians, acantharians and foraminiferans are single cells, some visible to the naked eye. 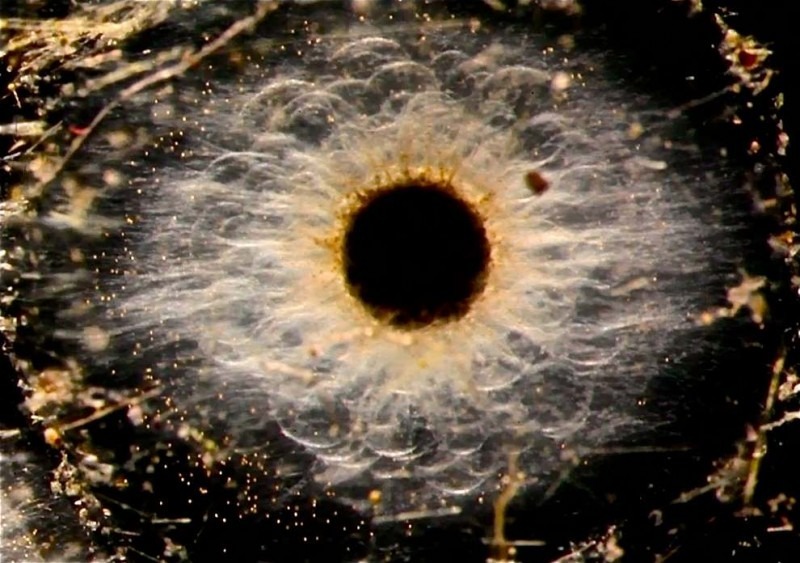 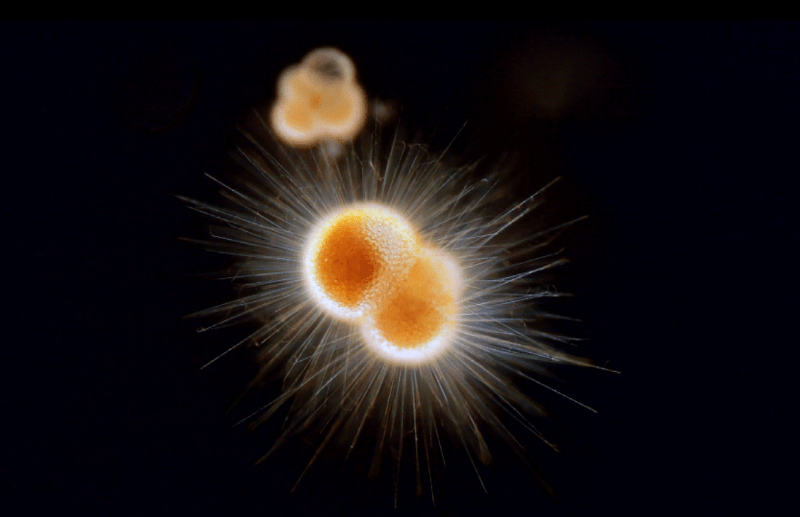 They are voracious carnivores, but radiolarians and acantharians can also be friendly to other cells, creating long-lasting symbiotic relationships with micro-algae. 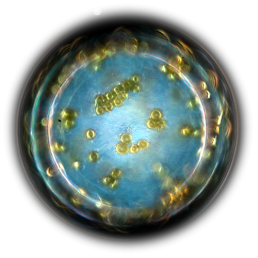 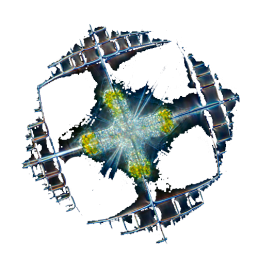 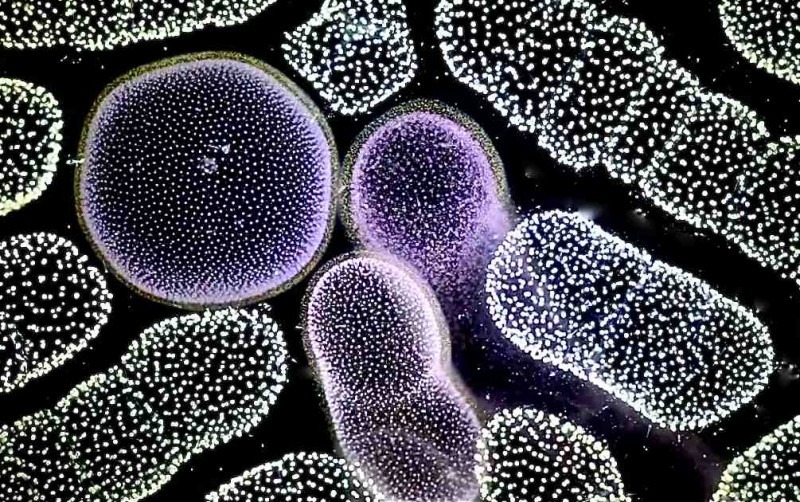 Some radiolarians – such as Collozum – live in colonies of thousands, embedded in a jelly loaded with millions of symbiotic algae. 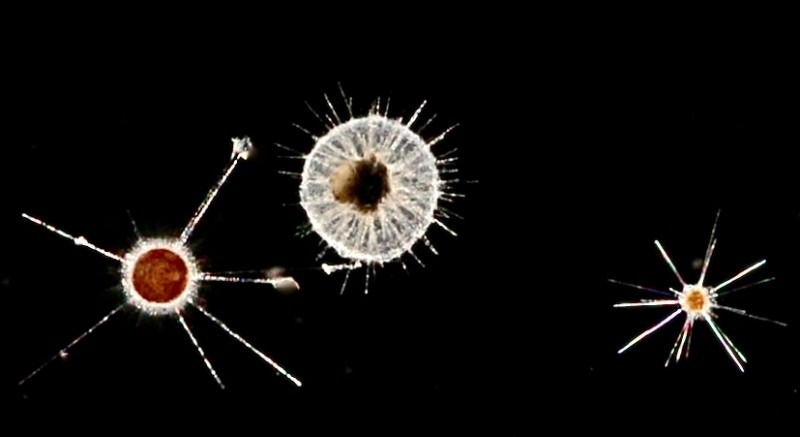 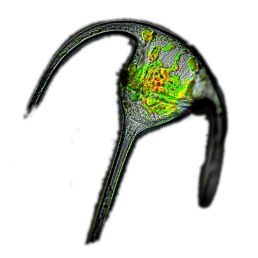 It’s easy to distinguish these three kinds of protists: foraminiferans build roundish shells made of calcium carbonate, while radiolarians and acanthariansmake silica or strontium skeletons in the shape of needles or shields. 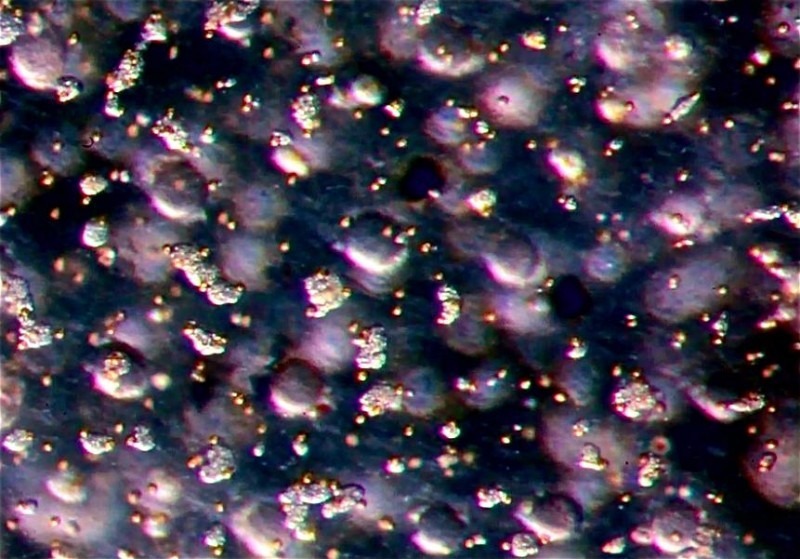 The calcium and silicate structures are very resistant. 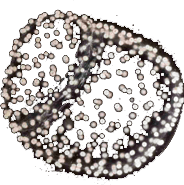 When foraminiferans and radioarians die, their shells and skeletons sink to the bottom of the sea, forming layers of marine sediments.